When it comes to beauty products, we don’t really like the phrase ‘anti-ageing’. We prefer ‘age-defying’, as a kind of two fingered salute, or even ‘age-embracing’. Age brings wisdom and experience. Bring it on! Aging does, however, bring its physical challenges. Wrinkles and laughter lines are a sign you’ve lived a good life and not had it snatched away too soon, so celebrate them, and be grateful you’re still here. Plenty aren’t. But as we progress through life our skin, hair and bodies change. So we’ve been having a look into beauty products that are geared towards the 50+ body. Let’s start right at the top with your crowning glory. Hair thins as we crack on through life and scalps can be dry. 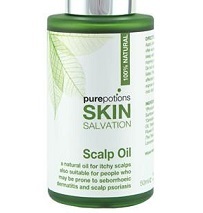 This is a natural moisturising scalp treatment; an alternative to chemical shampoos which strip natural oils from the skin. 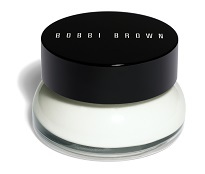 A super-charged, caffeinated cream that de-puffs, erases the appearance of dark circles, and firms the skin around the eye. Special optical diffusers diminish the appearance of fine lines. Magic. 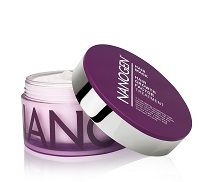 Don’t fancy Botox?! This concentrate offers an alternative solution for a reduction in the appearance of fine lines and deep creases. 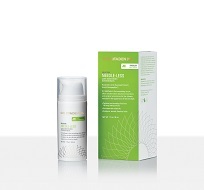 100% pure hyaluronic acid and advanced anti-aging hexapeptides work to plump, tighten and smooth. All Goldfaden products are made from complex plant extracts and natural alternatives. The blurb says ‘formulated with Raspberry plant stem cells and Himalayan Gentian to restore hydration and leave skin feeling regenerated and resilient. Fine lines appear reduced and skin appears toned. 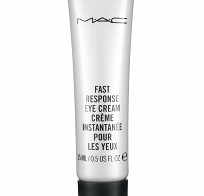 For a luminous lift.’ Mostly we just loved the way our faces felt after using it. So it’s a win for us. As a real alternative to spending time and money having an actual facial, we love this quick fix. It’s a 3-in-1 serum, essence and treatment oil and the best results come from rubbing it warm in your hands before applying. 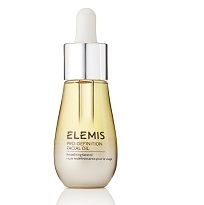 Can be used on décolleté too for a bit of oomph on the chest. Love it. Don’t forget that neck – nobody wants turkey neck, right? Suitable for any age, this peptide-rich neck cream contains edelweiss extract to improve elasticity for a more lifted-looking contour, and algae, jasmine and gardenia to smooth rough, dry skin. If you’re more of a soap kind of girl and you like to hydrate those hands, then this is definitely for you. 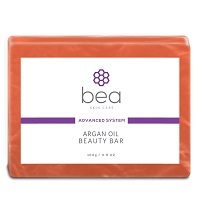 It isn’t drying like soap can be – it’s packed with Argan oil and you can leave it on your skin for 30 seconds before washing/rinsing off for extra hydration. Move over Dove, this is a natural alternative that gently cleans hands without stripping sky dry. One of the reviews on the BB site says “If I could only afford one BB product, it would be this one. Deeply nourishing and hydrating it can turn even dry, cracked heel skin silky smooth. Expensive, yes, but worth every penny.” That’s it in a nutshell. Use all over your body, and for extra punch, overnight. 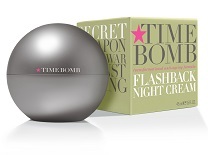 Now I lay me down to sleep… This night cream is the (time) bomb. Available on Amazon or QVC it’s packed with phytolipids, hyaluronic acid, anti-oxidants and vitamins and you can see the difference in the morning. We’ve tried it. Lovely stuff.